It feels like so long since I spoke about a Glossybox here. I love getting these each month and seeing what surprises are in store! The last few have been great boxes and for January they have a Detox themed box, full of treats to pamper yourself with... So let's take a look! Eco Boutique Body Lotion: This is a brand I've never heard of but I am excited to try it out. It's an aloe leaf and green tea lotion that is supposedly great for detoxing the skin after the winter months (which we still have!) It's free from any bad ingredients and packaged in a bottle that is made from 97% recycled materials. I love these small sizes, they are perfect for travel. Monu Micro Exfoliant: I've had products in my Glossybox from Monu before and they've always been good. I like the sound of this exfoliator, it is said to reduce fine lines and pores and give the skin radiance. It has hydrating ingredients like papaya and shea butter. Murad Ultimate Moisture Eye Cream: I've never tried Murad before but I have read only good things, so I am looking forward to seeing how this performs. It's an eye cream that is all about hydrating the area, which can often get dry and then cause wrinkles - this is said to last for up to 8 hours. BM Beauty Dewy Finishing Powder: This is a multi taking powder that is 100% naturally mineral. Worn alone it will create a dewy finish, under your foundation on fine lines and blemishes or as a finishing powder, on top of foundation to keep everything in place. It makes a great highlighter too. I swatched this and it's finely milled with a very subtle shimmer when blended. Sanctuary Spa Thermal Transformaton Mask: This sounds amazing! There is a serum and a mask and then say that when used they will dramatically improve the appearance of the skin in two steps, instantly! Although constant use for four weeks is needed to firm and refine the skin. You just apply the serum, then the mask on the face and neck, you should feel a warming effect... let that cool and then rinse. I can't wait to give this a go! Glossybox Eyemask: Just a cute little addition from Glossybox, a sleep mask! I used to own onwe but I have no idea where it is, so I'm glad to have this. 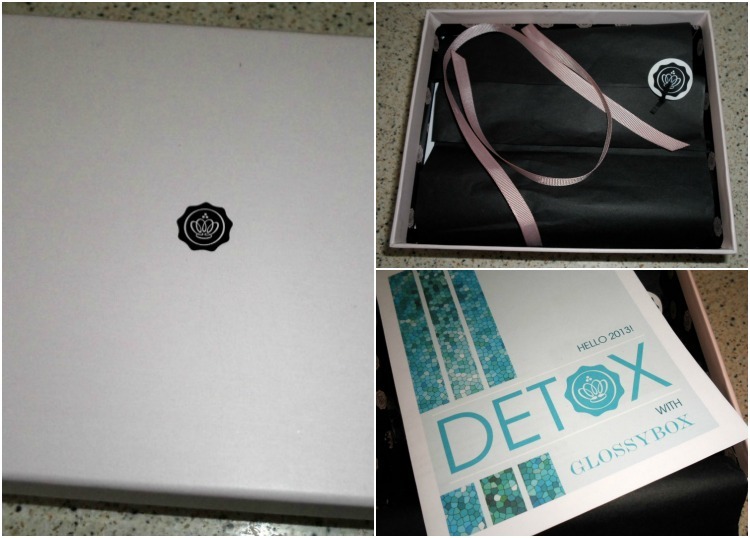 For more on glossybox, click here.